Powerlift aims at building power to push through most of your strength in a single workout. 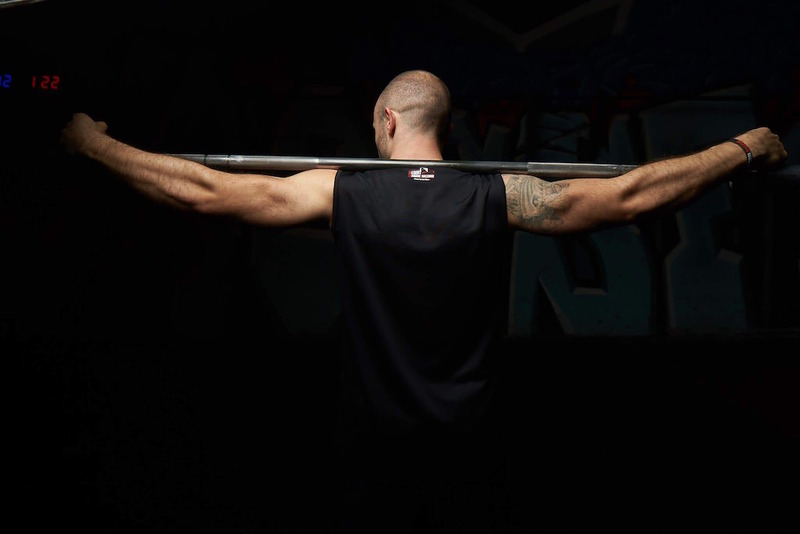 It allows you to develop explosive strength through training the central nervous system to react within a shorter time, giving you the strength to lift heavier weights than ever before. Barbell squat, bench press and deadlift are 3 main ways of powerlift. Start with two light sets of squats, 90 seconds pause between each set. Load with the maximum weight you can lift for 6 times. Repeat 5 times with 2 minutes of break in between. Same for bench press and deadlift. Follow the routine 3 times per week with not less than a day of rest between the workout sessions. Here’s a typical routine for barbell squat: hold the barbell with an overhand grip while standing with the feet apart around hip-width. Arch the back naturally and bend the hips and knees until the thighs are parallel to the ground. Bench press: lie on a bench and hold the bar shoulder-width apart. Lower the weight to your chest and pull your elbows inward. Push it back afterwards. Deadlift: stand straight with a bar in front of you. Keep your back straight while keeping your heels on the floor to grasp the bar. Stand up and lower the bar back to the ground. Each training session with one of the three lifts (Barbell Squat, Bench Press, Deadlift) along with an workout plan that helps better stimulate the particular part of muscles used for it. This mix of a range of exercises will enhance the effectiveness for your main lift and hence it is safer to work out this way. For additional exercises to condition your small muscles that bolster the main group of muscles you have trained on developing your explosive strength. As the training route goes on, it is expected that your strength will be enhanced steadily. After 2 months of training, it is suggested that you can test your one-repetition maximum on 3 lifts in order to boost your progress. There must be observable enhancement of your strength. Workout once every week with at least a day between each session. Make a set of workout routine with 2 types of exercises alternatively. It means that you will do one set of the first type of exercise, the one set of second type of exercise, and repeat the above sets. The sets and reps can be changed slightly. Find a weight that allows you to do for 12-13 repetitions with ease, but only go for 10 reps. The intensity of the workouts decreases in Week 4 and Week 8. You will feel less difficult for the same set of workout. You can also workout with lighter weights. Last but not least, you are expected to test your one-repetition maximum again after having several days of rest in Week 9. You can start a new cycle of workouts once you have found the new number for the one-repetition maximum for powerlifting.